From The AP. Watch the video here. INDIANAPOLIS (AP) — A professor at an Indiana college says he has found film footage showing President Franklin Delano Roosevelt being pushed in his wheelchair, depicting a secret that was hidden from the public until after his death. Ray Begovich, a journalism professor at Franklin College south of Indianapolis, said Tuesday he found the eight-second clip (http://bit.ly/12YW5Bp ) while conducting unrelated research in the National Archives in College Park, Md. The National Archives and the FDR Presidential Museum and Library couldn't say for certain if other such footage exists but both said it is at least rare. Roosevelt contracted polio in 1921 at age 39 and was unable to walk without leg braces or assistance. During his four terms as president, Roosevelt often used a wheelchair in private, but not for public appearances. 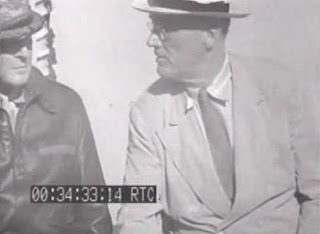 News photographers cooperated in concealing Roosevelt's disability, and those who did not found their camera views blocked by Secret Service agents, according to the FDR Presidential Museum and Library's website. "This raw film clip may be the first motion picture images of the president in his wheelchair, and it was never meant to be shown to the world," Begovich said. Bob Clark, supervisory archivist at the Roosevelt library in New York, said he wasn't aware of any other similar film. A spokeswoman for the National Archives concurred. 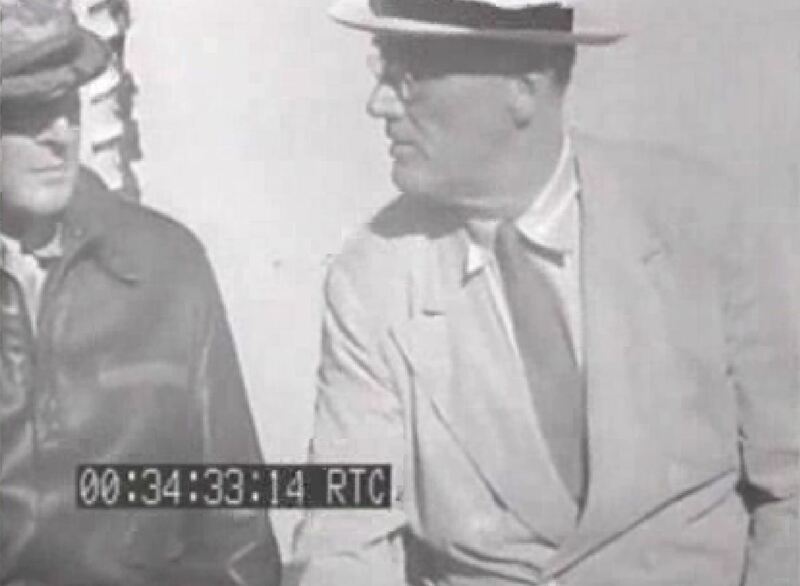 "With respect to whether or not this is the earliest or only existing footage of FDR in a wheelchair, we cannot state that this is definitively the case, although such footage is certainly rare," Laura Diachenko said in an email. The film shows Roosevelt visiting the U.S.S. Baltimore at Pearl Harbor in July 1944. Eight seconds of the clip show Roosevelt exiting a doorway on the ship and being escorted down what is apparently a ramp. The wheelchair is not clearly visible because the view of the president is screened by a line of sailors, but Roosevelt's distinctive white hat can be seen gliding past the men at a lower level. Roosevelt, at 6-foot-2, was likely taller than most of the soldiers. Although Roosevelt's disability was virtually a state secret during his presidency, which spanned the Great Depression and most of World War II, it has become an inspiration to advocates who successfully pushed for a statue of him in his wheelchair to be added to the Roosevelt Memorial in Washington. "To me, the importance of this clip as historic media imagery is that it reminds all of us that this president fought the Great Depression and World War II from a wheelchair. I think it's a tragedy that we haven't had many candidates for national office who use a wheelchair or guide dog or sign language," Begovich said in a statement.